Find used car spares and vehicle parts suppliers for all makes and models of motor vehicles in Laverton area. Auto Recyclers Laverton North link you to a supply chain of motor manufacturers dealerships and auto spares suppliers that stock the original manufacturers parts or the aftermarket spares to suit your budget. We stock a wide range of used auto parts for most vehicle makes and models, including engines, gearboxes and body parts. We have vehicles and stock flowing in weekly. 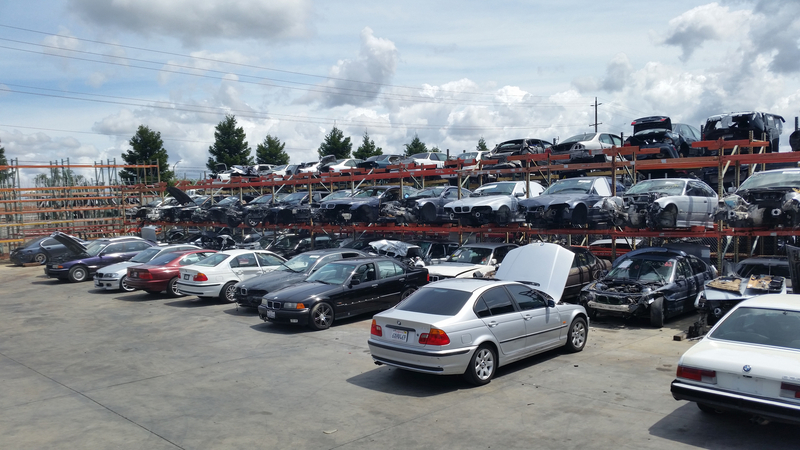 WRECKZONE also has a large quantity of vehicles currently being stripped for spares, as well as a large supply of used car parts for you to browse through at our second hand parts business in Laverton North, Melbourne. Your request for the correct parts requires accurate information to be supplied such as: vehicle type, make and model, engine number, gearbox codes and any other important information you can supply. Remember the more information you supply, the better your search results will be in getting the correct parts Engine and VIN numbers can be found on the licence disc of your vehicle. We come to you and buy your car (Melbourne wide). All payments are immediate by way you prefer (Cash, Online Banking). We do all the paperwork and roadworthy tests offering you a hassle-free transaction. We buy cars, trucks, 4×4’s, all makes and models. We also buy accident damaged vehicles or non-runners. CALL US ON 04 4922 2425 OR COMPLETE THE ONLINE FORM AND WE WILL CALL YOU. For more information about our service range, please call us at Auto Recyclers Laverton North and speak to one of our friendly staff members. This entry was posted in Auto Wrecking, Scrap Vehicle Victoria and tagged auto dismantlers Laverton north, Auto Recyclers 3026, Car Panels Laverton, car removal company Laverton North, car salvage Laverton North, cash for cars Laverton North, european car wreckers Laverton North, japanese car wreckers Laverton North, junk car yard Laverton North, scrap car buyers Laverton North, Sell Gearbox problem car in Laverton, Used Engines Laverton, used Tires Laverton, wreck car cash Laverton North, wreckers Laverton North on July 4, 2018 by Wreckzone.